Milk snake phase. 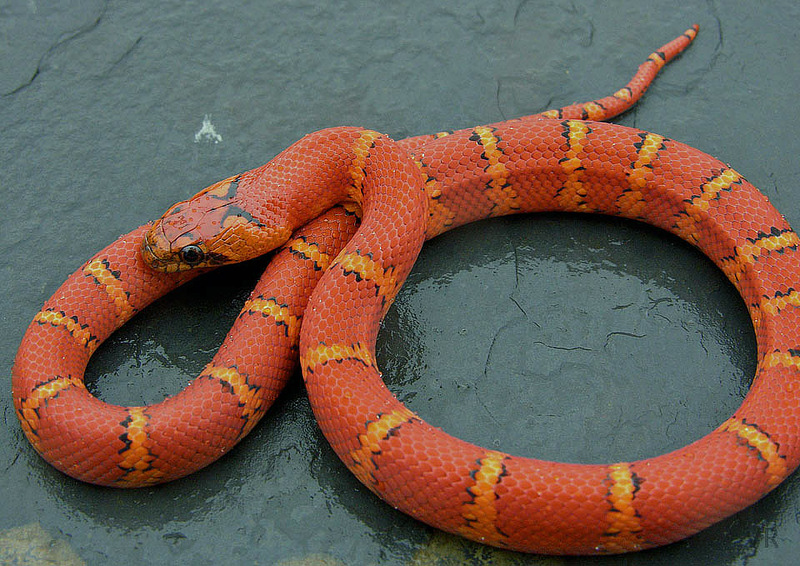 As mentioned before, collectors began to pass on milk snake phase Variable Kingsnakes, opting almost exclusively for leonis phase. This development was hard to comprehend as many milk snake phase, VR Strain animals were drop dead gorgeous as indicated by the day-glo example above. In many if not most cases, milk snake phase variable kingsnakes were more beautiful and interesting than most triangulum. The reduced black motif is equally shared by both leonis and milk snake phase VR Strain thayeri.